Giving a horrible bathroom a facelift is one of our favorite remodeling challenges. Some times something as small as replacing countertops can turn a disagreeable bath space into a restful place. When it takes more, our solutions work in your allotted space. From simple upgrades to total bathroom overhauls, our remodeling strategy is to help you choose the right design and bath fixtures to fit your tastes and lifestyle. Energize rapidly with a brisk morning shower. We’ve been making those dreams reality for homeowners all around the greater Charlotte area for over 25+ years. Tell us about your bathroom, now. Call Book Construction today for bathroom remodeling you can trust. (704) 845-1628. 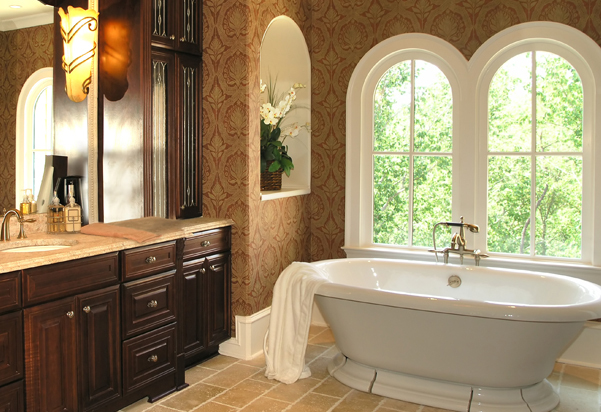 Turning run-of-the-mill bathrooms into beautiful spaces our clients are proud to have in their home is our specialty. 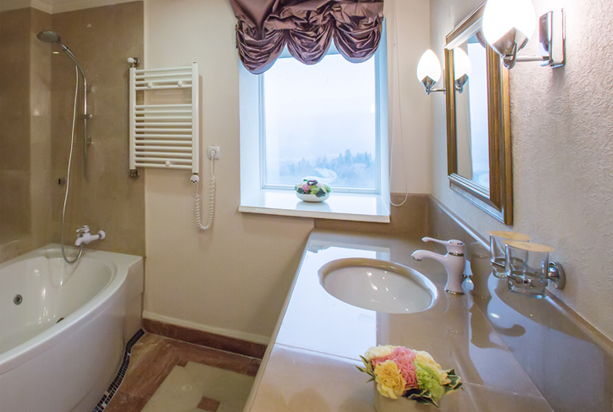 We take pride in every bathroom we renovate, because we know how critical this room is to enjoying your home. And when it comes time to sell, your bathroom(s) contribute so much to your sales price. Whether your bathroom remodel includes tub surrounds, showers, vanities or tile on floors and/or walls, put our extensive experience to work for you. Choose Book Construction to bring your dreams to life. Your vision for your bathroom will become your reality. Putting your plans into action is only a click or phone call away.